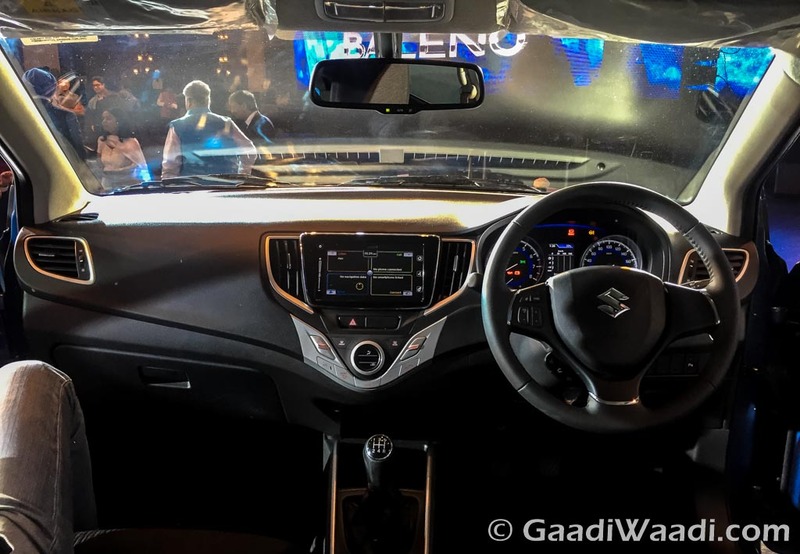 Maruti Suzuki Baleno created an aura of excitement when launched in late October 2015 at a starting price of Rs. 4.99 lakh (ex-showroom Delhi) as it’s the first-ever premium hatchback from the market leader to take mainly on the Hyundai Elite i20 besides Honda Jazz and VW Polo. In just six months, the Baleno flew past a sales tally of 50,000 units and consolidated Maruti’s position in the premium hatchback segment. It showed preview of taking the sales chart by storm at the end of October as Maruti sold 4,229 examples – that is within just five days of arrival in the market. Hyundai managed to sell Elite i20 for a little over 11,000 units on the same month and topped the segment until then. But the Elite i20’s reign was toppled by the Baleno as predicted in its first full month when sales data was revealed for the month of November. Being retailed as the second product from the Nexa premium outlets, Maruti Suzuki Baleno gathered an outstanding 21,000 bookings from customers within just two weeks and 56,000 people visited Nexa showrooms during that period for enquiries. It slotted in at sixth by turning a huge number of 9,074 units against the Hyundai hatchback’s 8,264 units – nearly 3,000 units declined from previous month for the Elite i20. In the following months, the Baleno not only excavated prospective buyers from the Korean hatchback but also lured customers seeking the Swift. The compact Swift hatchback swept 15,661 units in April 2016 and is still commanding its space in the market but the sales figures were on a downfall for the fifth consecutive month courtesy of the Baleno – which ended up 7th in the top 10 chart at a 36% MoM growth in the same period. The more powerful about-to-be-launched RS variant is expected to further boost the sales of the already successful model. 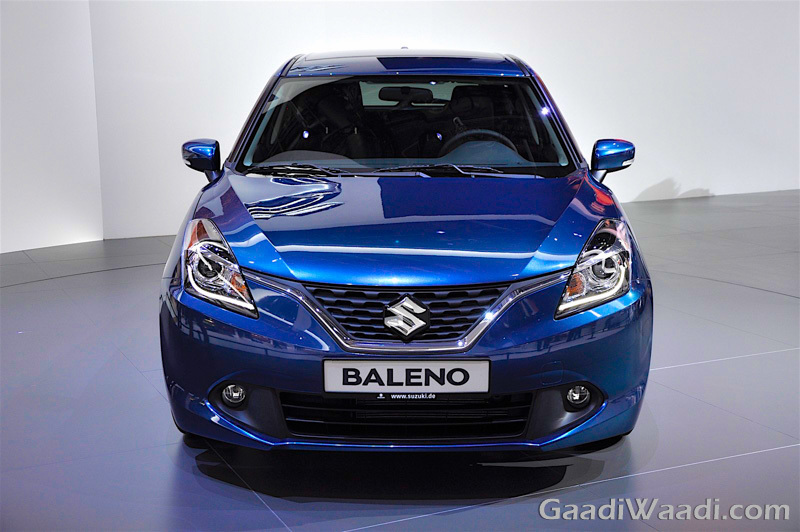 Maruti Suzuki expanded the footprint of Baleno with plans to export the model to over hundred countries across the world and will be the first model to be produced from the brand’s new plant in Gujarat starting next year. The India-made Baleno saw the daylight at Suzuki’s home market of Japan in March, powered by the Boosterjet petrol engine. 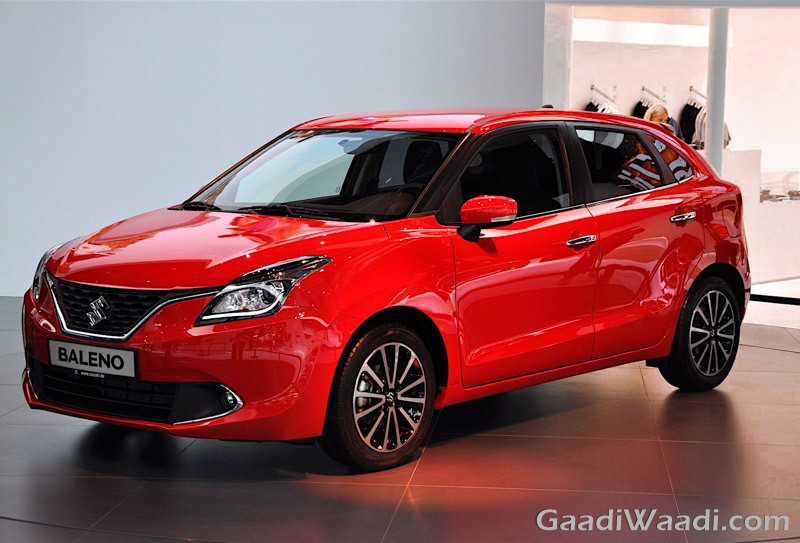 The export of the premium hatchback to several European countries, USA, Australia and New Zealand from Maruti Suzuki’s Indian facility was reported at the end of April as well. The Maruti Suzuki Baleno is propelled by a 1.2-litre K-Series petrol motor developing 83 bhp and 115 Nm of peak torque whilst the 1.3-litre DDiS diesel engine produces 74 bhp and 190 Nm of torque. Both engines are paired with a five-speed manual transmission as standard and additionally CVT automatic gearbox is available on the petrol variants of Delta and Zeta. The diesel engine is claimed to return a fuel economy of 27.39 kmpl whereas the manual and automatic petrol variants are rated to give 21.4 km per litre. The premium hatchback measures 3,995 mm in length, 1,745 mm in width and 1,500 mm in height. It features a wheel base of 2,520 mm and accommodates 339 litres of boot space. The Baleno comes equipped with plenty of features alongside ABS with EBD and dual front airbags provided as standard across all grades.